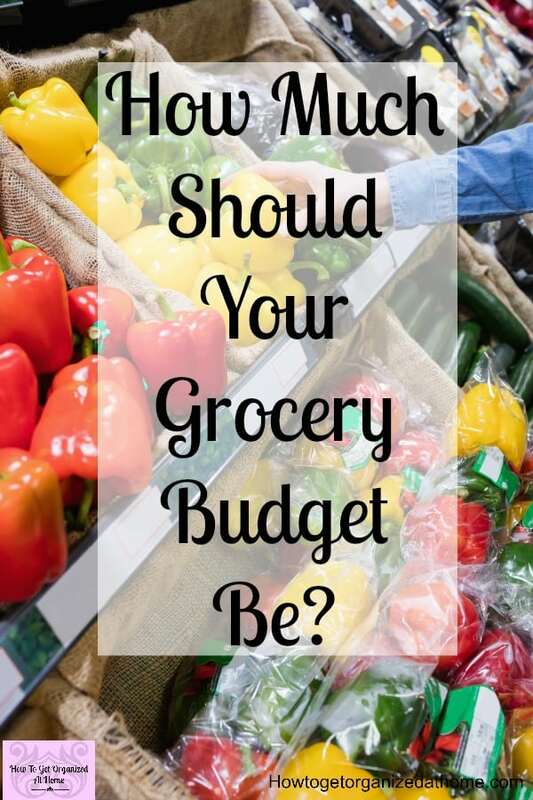 This is always a difficult question to answer but I will attempt to guide you through the process of creating the right food budget for you. You have to start somewhere and the best place is to just start where you currently are, working out how much you spend on food per week is a great starting point. If you already know this great! But sometimes looking at what you actually spend is scary and you just spend money without really thinking about the quantity! How much should you spend on food each week? 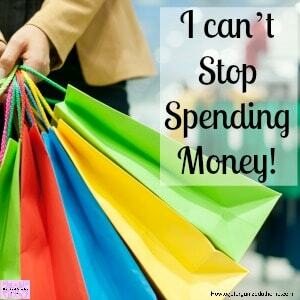 This all depends on your budget and how much you can afford to spend! Do you have a budget you stick to each week? Do you pay cash or by card? Do you go shopping more than once a week? What do you throw away each week? By answering these questions above it will give you the basics of how much you are spending and can give you an idea if you think you are spending more than you realized. I do my shopping online, I have all week to ensure that I’ve got everything I need and I’ve not gone over budget! They even deliver the groceries for me! If you go grocery shopping and pay by card it is easier to add a few extra items on to the bill, with the promise that you will look at the overspend later, this never happens! Having a budget for your food is a great way to keep control of your grocery spending. However, having the right amount of budget is important! A good way to tell if you are spending too much money on food is simple! Are you throwing away food because it goes out of date before you get a chance to eat it! This is a warning sign that you might need to cut down the money in this category. Work out what you are spending now on food and use that as a guide, cutting back is always an option! Too much in your food budget is just as bad as not having a budget. If you have too much money to spend on food the chances are you will buy more than you need and end up throwing out that food, this is a complete waste of money and food! There are guidelines as to what different people allow for groceries, I know that when I worked in a bank we had a set amount for different family situations and this is different depending on the source of the information. 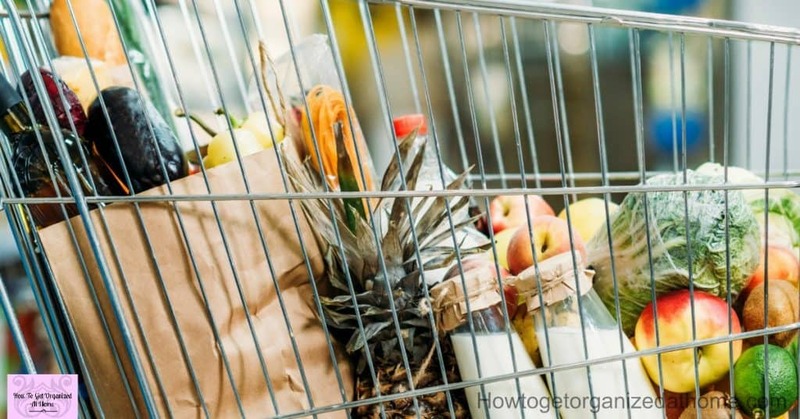 I personally only see these as guidelines and the best way to work your grocery budget is looking at what you need to spend and how many people you need to feed. You have to find your average cost of groceries and work from there. Having enough money for food is a luxury as there are many people who struggle for this basic necessity throughout the world! Resources BoxYou have to find the right tools for the job! Here is a list of a few products and articles that I think might help! 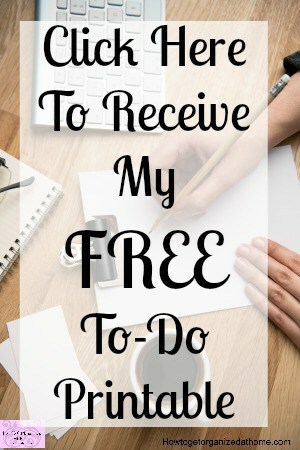 My article on budgeting, It’s Easy To Make A Budget is a great place to start! If you are looking for a book on budgeting and making your money work harder, I can’t recommend Dave Ramsey enough for the work he has put into teaching and writing about budgeting! You are going to have to look closely at what you spend and on what! Breaking down the cost you will see how much you are spending in each area! Don’t forget to include the lunch that you buy out, or the extra trip to the supermarket for other items during the week, these should all come out of your grocery budget, after all, it is all part of the food that you eat. 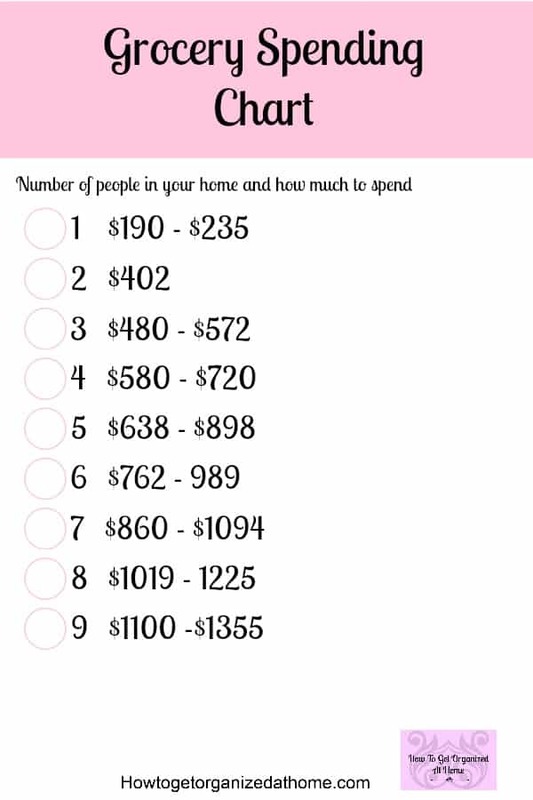 I created this guide to help you judge your budget with the number of people in your home! This is to help you work out how much you are spending and if you are spending too much! Do this for a week or two, noting down how much you spend and then using this as a guide for building your grocery budget. You might need to adjust how much you are spending, bringing it down into line with what you feel is a reasonable about to spend on your groceries each week. There are times when you need to adjust that figure if you have any celebrations or at certain times of the year when you have more people to feed. 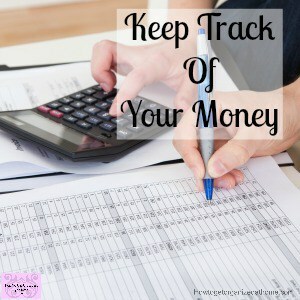 If you work this into your grocery budget it isn’t as difficult finding extra money all at once! 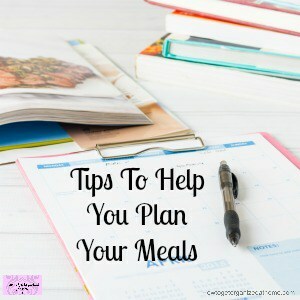 If you need to cut your spending in any area, your grocery budget is always the first place to go, it is easier to trim off the excess from this part of your budget; it might mean that you have to adjust your spending but it is often possible to eat really well for not as much as you might think. It just takes being more creative and thinking about the food that you are eating and how much it costs. Whilst it is very nice to have a meal out, it is not the cheapest way to save money! Going to a fast-food restaurant as an alternative to making your own meal is expensive too! Spending too much money on food must include the number of times that you eat out per week. I know that some people have traditions when they get a take-out or go out regularly for something to eat. However, if you are trying to cut back on what you are spending by creating a budget, to spend on take-out food or eating out can highlight just how much you are spending in this area. 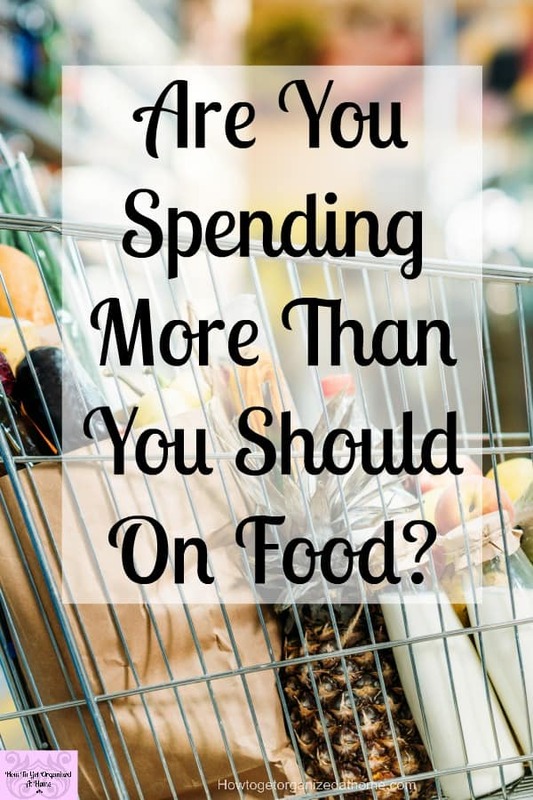 It might shock you just how much you are spending on food! Learn the signs when you are struggling to stick to your food budget and find friends and family to help you win your battle! They might have some great tips too when it comes to cutting back on fast-food! You might not like to see the total amount but without facing the true cost of your food, you won’t be in the position to tackle the problem at the source and create a grocery budget that works for you and your family! is that chart factually proven, and/or correct? This chart is from my personal experience from working with budgets, so, yes it’s correct in my view of creating a budget for food shopping! Is this a weekly budget amount for food or monthly? This is per month to spend on food and groceries!